We’re going to let you in on a little secret. Something that the financial press don’t want you to know. One of the main things we consider when investing our clients hard-earned capital is the amount of risk, or volatility, they can emotionally handle. Every year, during our clients Investment Lifeboat Drills meeting, we will always convey the same message – that the range of returns always appear less volatile with longer holding periods. 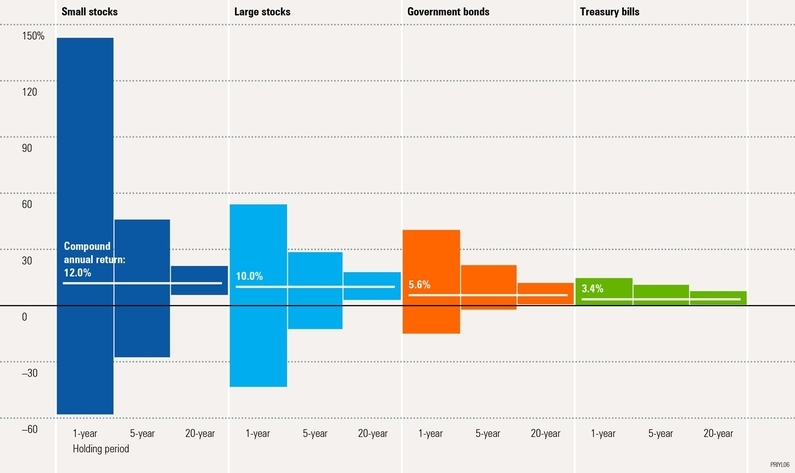 Over the long term, historic empirical data shows us that periods of high return tend to offset periods of low return. With the wonderful passage of time, these offsetting periods result in the dispersion of returns gravitating or converging toward the average. What does this mean you may ask? Well, while returns may fluctuate widely from year to year, holding the asset for longer periods of time results in an apparent decrease in investment volatility. The graph above finely illustrates the range of compound annual returns for stocks/equities (or the great companies of the world); bonds (debt); and cash over one, five, and 20-year holding periods. On an annual basis, since 1926, the returns of large-company equities have ranged from a high of 54% to a low of –43%. However, for longer holding periods of five or 20 years, this picture changes. And it is this picture that the financial press are not keen to show you. We need to keep in mind that holding equities for the long term certainly does not ensure a profitable outcome, and that investing in equities always involves risk. But, and it’s a big but, if you maintain a well-diversified investment portfolio, filled in part with the great companies of the world, and then maintain your discipline, the risk of holding these companies appears to lessen with time. 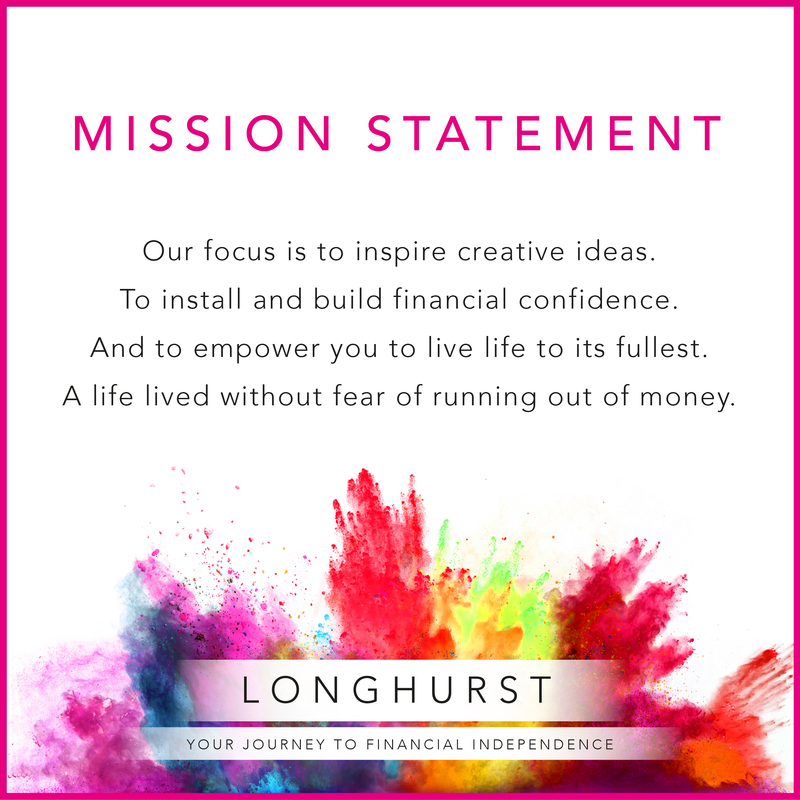 At Longhurst, we build investment portfolios designed to serve your financial plan. 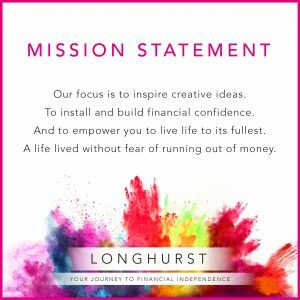 These portfolios will provide you with the greatest opportunity to achieve and maintain financial independence; retain comfort and dignity during retirement; and with hope, leave a meaningful legacy behind for your loved ones. But to ensure you have the best possible chance of success you need to make sure you take a tortoise like approach to investing, and play the long game. Because evidence shows us that slow and steady wins the race. Small stocks are represented by the Ibbotson® Small Company Stock Index. Large stocks are represented by the Ibbotson® Large Company Stock Index. Government bonds are represented by the 20-year U.S. government bond, and Treasury bills by the 30-day U.S. Treasury bill. An investment cannot be made directly in an index. The data assumes reinvestment of all income and does not account for taxes or transaction costs.